According to the Federal Trade Commission, over 75% of cosigners of finance company loans are eventually asked to pay up. There may also be late charges due to a friend’s or relative’s delinquency. Sometimes even court costs and legal fees. Besides having to pay off the original loan, cosigners may damage their own credit rating in the bargain. 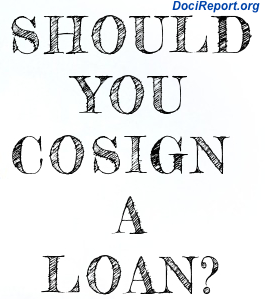 You should never cosign a loan unless you can pay it off if necessary. Try to get the lender to hold your obligation to the principal of the loan, and never pledge your own property to secure such a loan. Request from the lender a notification in writing of any missed payments. 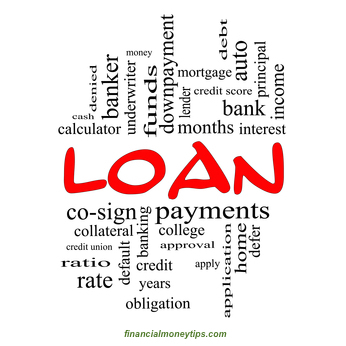 That way you are aware of the borrower’s delinquency and can either make the payment yourself or bothers the friend or relative before the loan is called and other penalties are incurred. For any loan you make, it’s a good idea to draw up a note stating terms and conditions. Be businesslike and include a provision or reasonable interest. The IRS is a reason for formalizing the loan. With documentation, you should be able to take a deduction on any loss. Unless the loan was directly connected with your business, it will be treated as a short-term capital loss.